This Nan Jian Tulin beeng cha is made with leaf materials gathered from tea harvesting areas on Wuliang Shan at approximately 6,500 feet in elevation and also from the Yun Xian tea harvesting area of neighboring Lincang. Lincang produces many of Yunnans finest teas, including dian hong black teas from the Feng Qing area (another of our favorite tea producing regions of Yunnan), and also Pu-erh from ancient tea trees in the Mengku tea harvesting area. 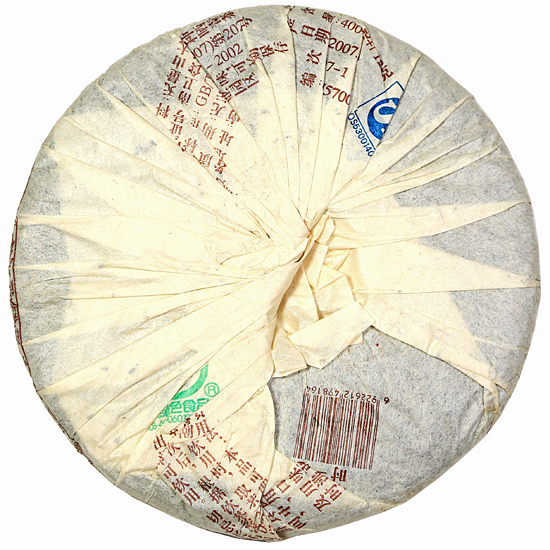 The fresh leaf from these two areas contributes strong flavor and strong aroma to the blend. 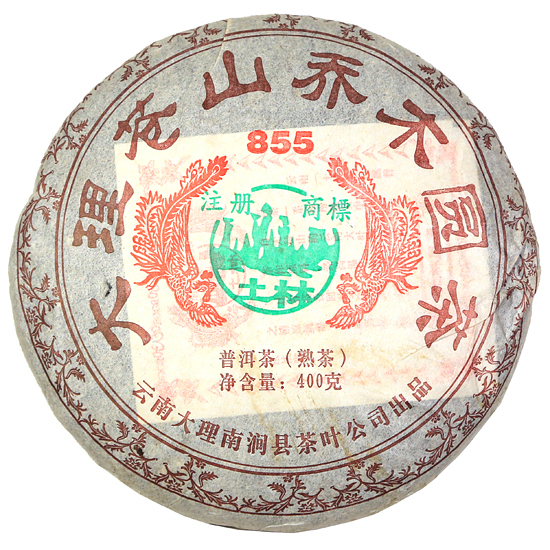 Nan Jian’s blending style features both sweet and pungent tastes which reflect the unique qualities and origins of the raw materials used in this tea. The Nan Jian Tulin tea factory produces fine Pu-erh. Fans of Xiaguan Tea Factory Pu-erh may want to give this tea a try – Tulin’s teas are well-known for their balanced, complex flavor which is due to their selection of raw materials, and their blending and processing skills. 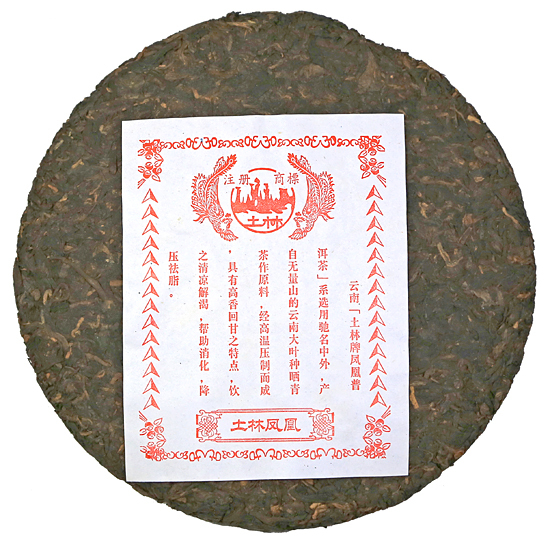 Shou Pu-erh is also known as ‘cooked’ or ‘ripe’ Pu-erh, a reference to the wo dui fermentation process that the leaf undergoes in the tea factory.